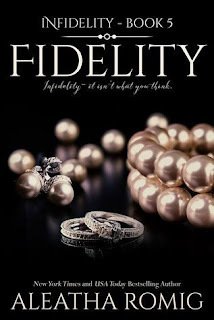 Fidelity was PERFECT! Not many authors can keep readers wanting more especially when the series is five books long, Aleatha is one of the few in my opinion. I wouldn’t change a thing, she gave these characters exactly what they needed and I LOVED it! If you’ve read the previous books you have your list of the characters you love/hate, the ones you aren’t sure you can trust. I’m happy to say that everyone that I loved and trusted from the very beginning remained true. I was fearful that Aleatha was going to take us on this crazy ride, ripe my heart out only to repair it in the final hours. Let me tell you, she did so much more. 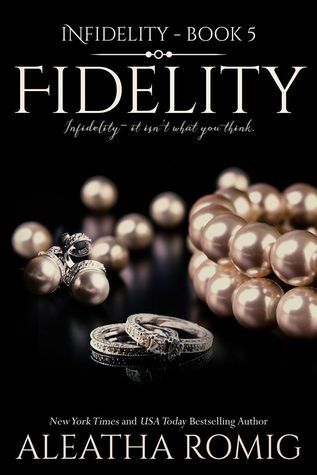 I felt that Fidelity had less drama and angst. What drama there was, was executed perfectly throughout this book. This book was truly about Nox and Charli’s love. I honestly don’t know what to say in this review. I’m still smiling 5 days later. Plus, I don’t want to ruin this last book for you with spoilers. I can’t wait for you to read it! If you haven’t started this series now is the time, you won’t regret it! Read it then come and find me to chat! 5 stars! I will have to read this one Terri! Thank you!